Firefighters and first responders, you put your health and lives at risk for us. Thank you. We’d like to help you take care of your health and wellbeing. Your job is physically, emotionally and mentally taxing, so keeping your mind and body as healthy and stress-free is important for your life on the job, and off the job. We think of yoga as the great equalizer. It helps to bring your life into balance so that you can better deal with the stresses of your job, and be present for your family and friends when you’re not working. No. We’re not. Here’s why. Breathing: When the adrenaline rushes and you’re faced with life-or-death decisions, maintaining a low heart rate and steady breathing help you make better, faster choices. WIth regular yoga practice, controlling your stress-response and avoiding the potential negative consequences of uncontrolled hormonal surges becomes second nature. Your mind and body learn to respond to stress by remaining calm, focused and mindful. You won’t lose your edge, and you’ll gain a powerful tool for the most stressful situations you face. Trauma Release: When you constantly experience trauma, your body stores that stress and those memories. Eventually, all of that stored-up experience combusts and comes out in one way or another. It could express itself as back pain, depression, and anger, or even rage expressed in a dangerous way. The meditative and stress-relieving nature of a basic yoga practice helps to release trauma from your mind and body in a productive, life-affirming way. 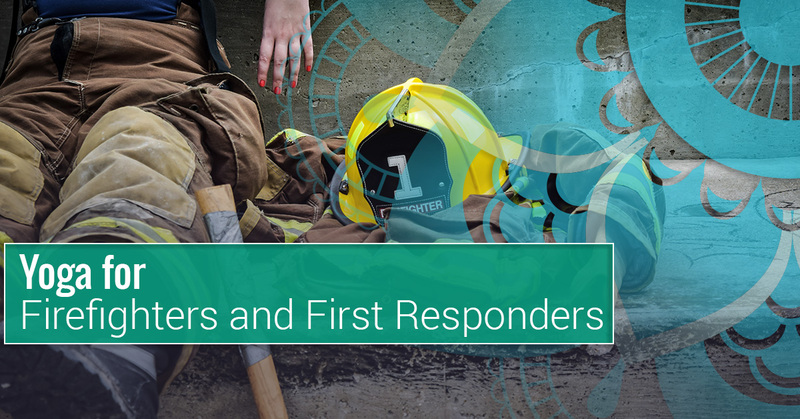 It prepares you to be a better firefighter, police officer, EMT, or emergency search and rescue responder. More importantly, it prepares you to be a healthier, happier, more present spouse, parent, and friend. Strength and Endurance: Yoga practitioners are strong. In addition to being a mindful practice, most yoga positions are weight-bearing, muscle-building, and bone-strengthening. A few basic yoga poses practiced several times a week can help guard against common injuries, including the some of the most common back injuries. The mental strength that can be gained through regular yoga practice also provides you with the endurance you need when a fire, accident or natural disaster turns your 24-hour shift into a 36-or-48-hour rescue mission. A Little Goes a Long Way: You don’t have to become a twisting, bending, standing-on-your-head yogi to realize all of these benefits. As a matter of fact, a simple yoga practice consisting of some of the most basic poses is all you need. Come by and see us. Take a class. And let’s talk about what kind of regular yoga practice is right for you. Stay safe. See you soon.